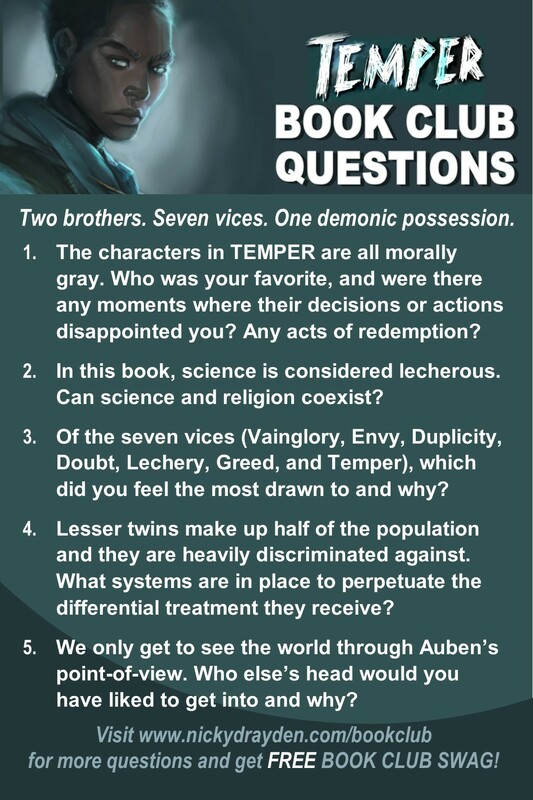 Several bookstores, libraries, and reading groups around the country have selected The Prey of Gods and Temper for their book clubs. Will yours be next? Sign up for my newsletter and add your name and mailing address in the comments, and I’ll send your group free swag! 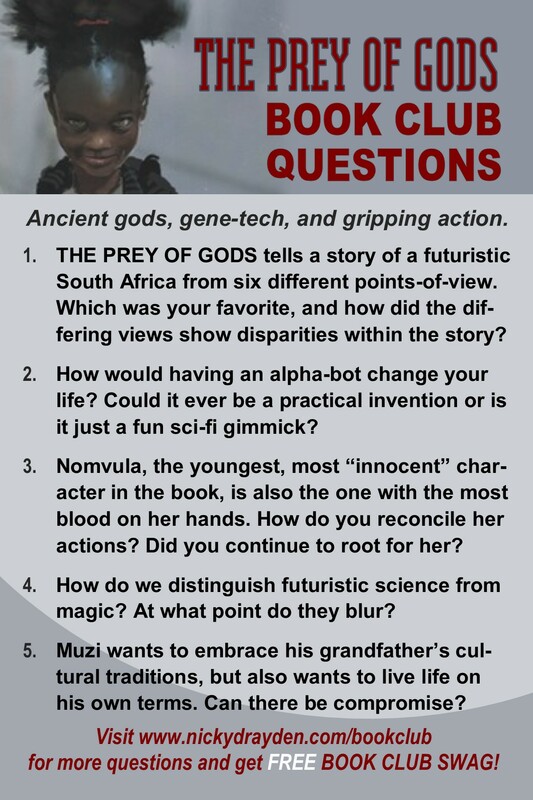 I’ll also send you bonus book club questions!